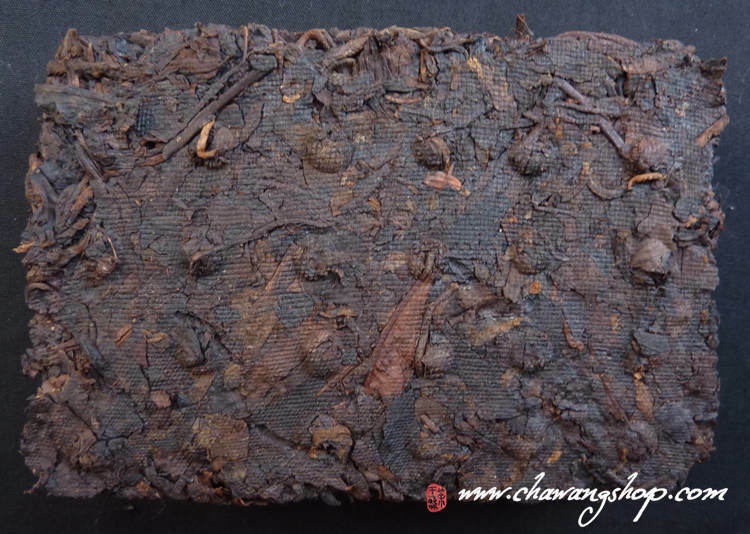 Zao Xiang: 枣香, Jujube flavor. 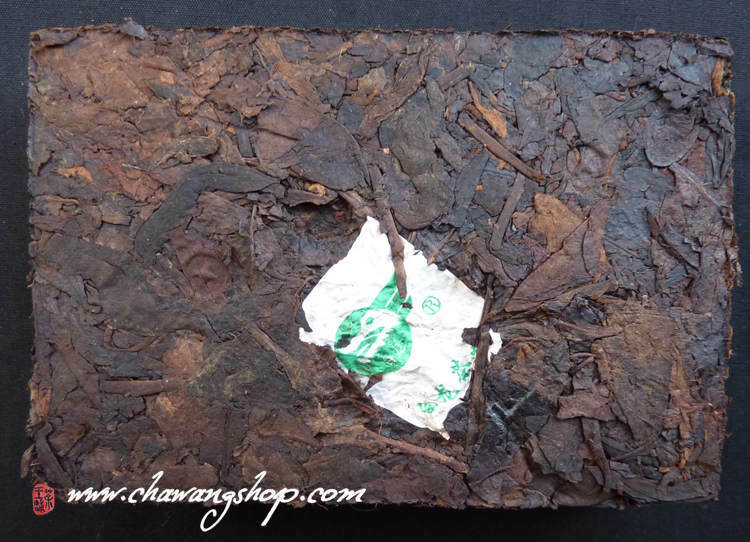 This ripe tea brick was made of fermented old yellow leaves and bits of stalks. They had been stored in dry and clean storage for 9 years. 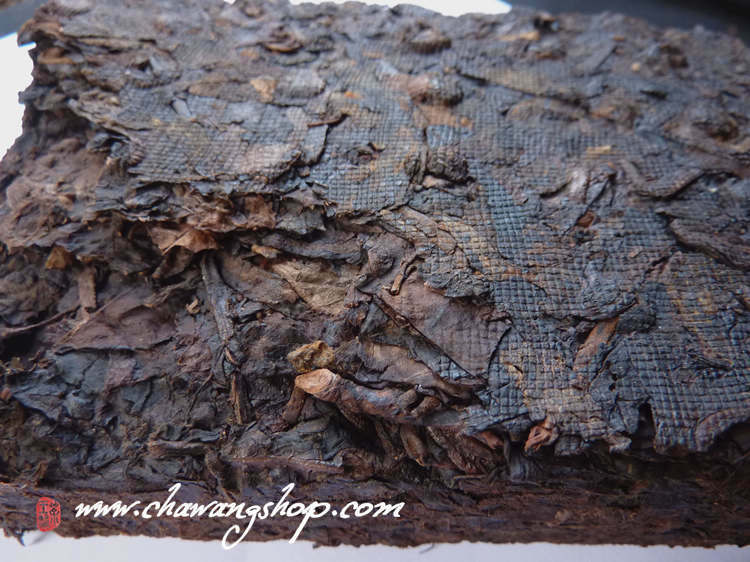 Dry leaves are glossy black, shiny but rough, with slight dry jujube aromas and begin to appear special aged-aroma. The tea liquid is wine red with a mellow red jujube taste. Pure, clean and refreshing ripe tea flavor. Sweet taste is its characteristic. The yellow leaves contain rich substances. What's more, the price is quite reasonable.